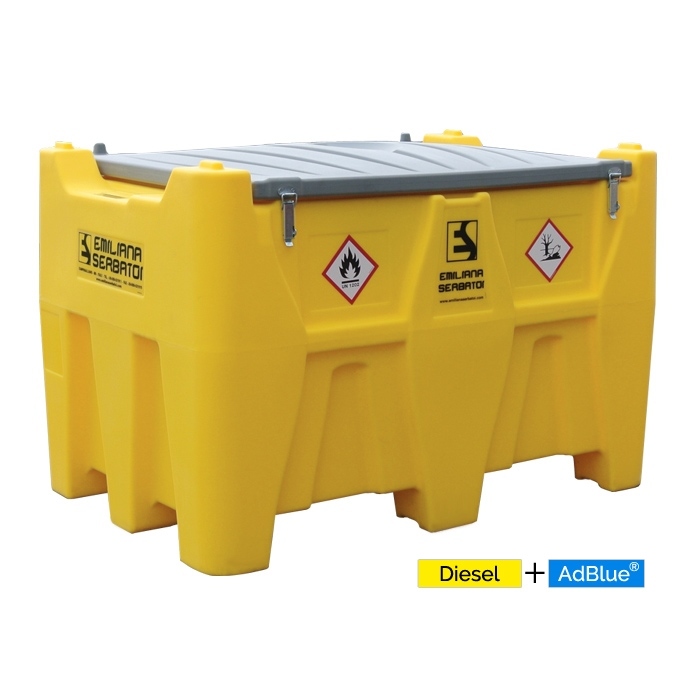 Polyethylene tank for Diesel fuel transport, in exemption from ADR according to paragraph 1.1.3.1.C, and AdBlue®. 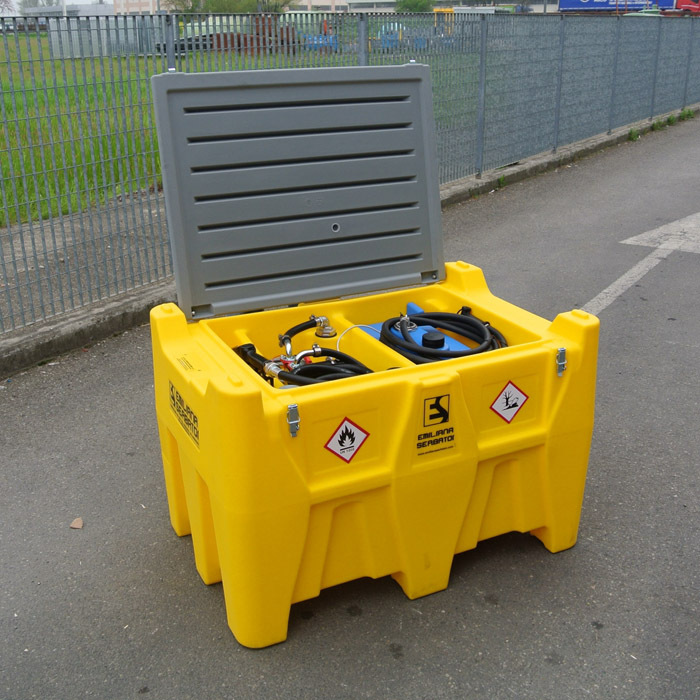 Carrytank® 400+50 is a tank made in linear polyethylene designed for Diesel fuel and AdBlue® transport; it is equipped with the following fittings: reinforced lockable lid, filling aluminium plug for Diesel compartment and filling polyethylene plug for AdBlue® compartment, with integrated air vent device, level indicator, inline filter, fuel transfer unit, automatic fuel nozzle, built-in forklift pockets (full tank), handles for lifting and carrying (empty tank) and integrated recesses for securing with ratchet lashing straps during transport. 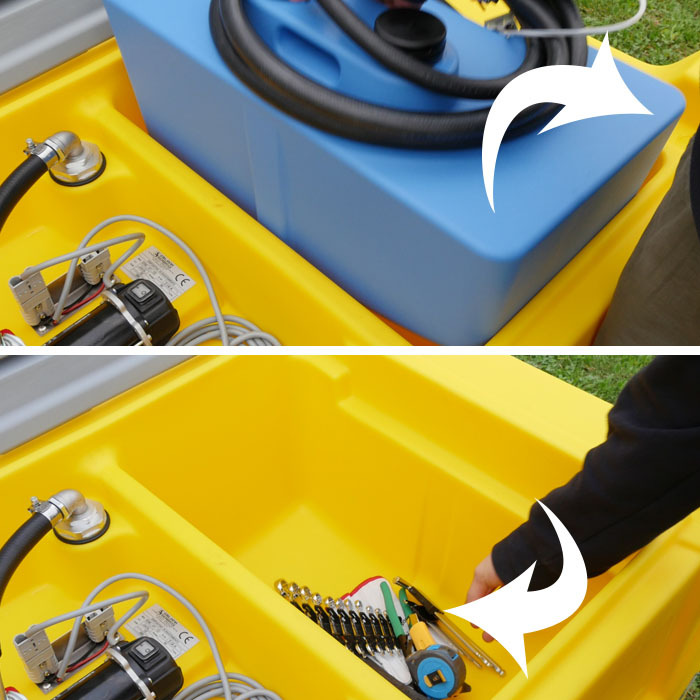 All the fittings are made of aluminium or materials compatible with Diesel fuel and AdBlue®. 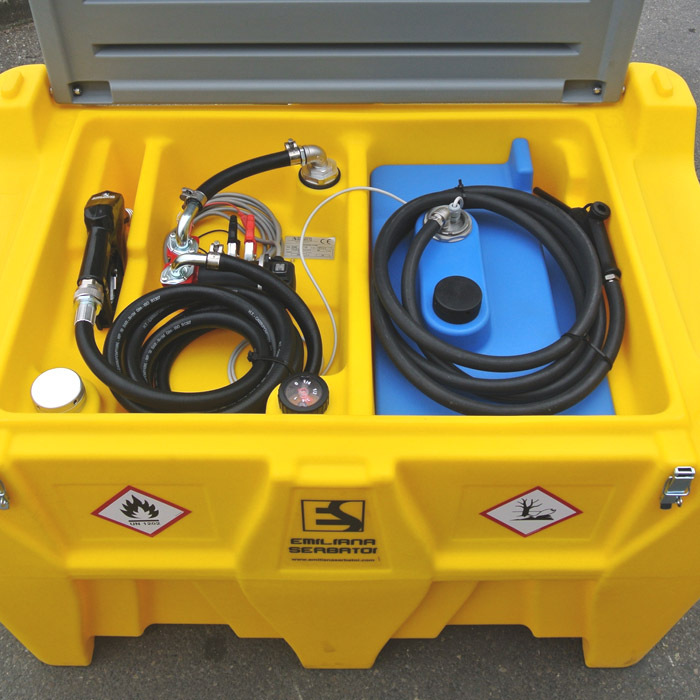 Volume Diesel fuel compartment: 400 liters. Empty weight including both transfer units 12V: 57 Kg. 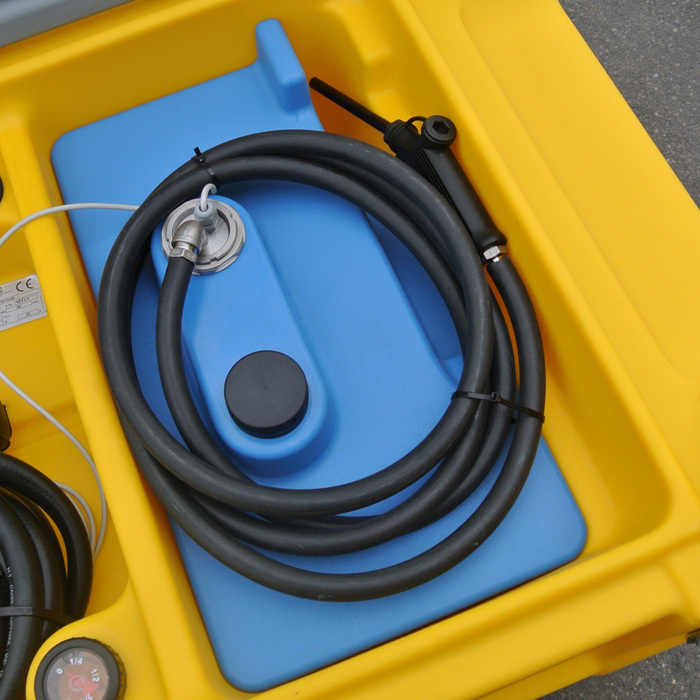 Filling plug, size 2”, with integrated air vent valve on both compartments. 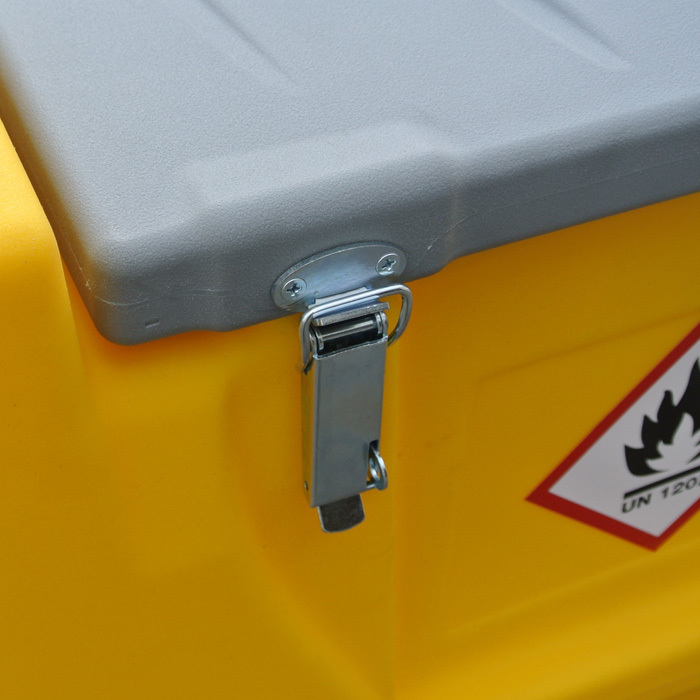 Level indicator (only Diesel fuel compartment). 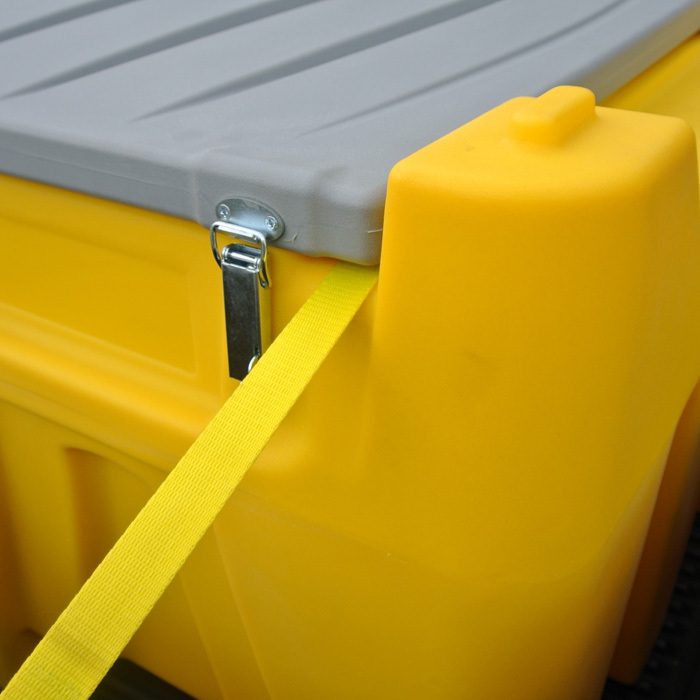 In-Line filter (only Diesel fuel compartment). 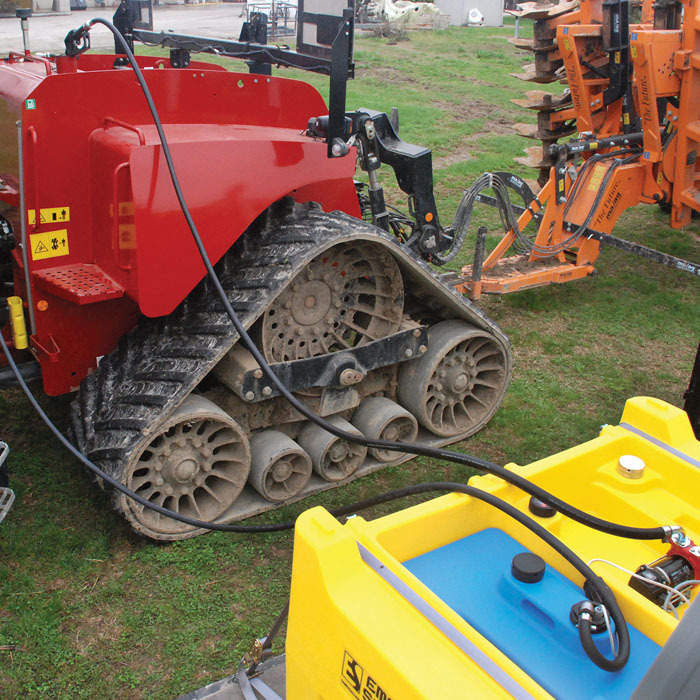 4 m of hose for Diesel fuel and 4 m of hose for AdBlue®.